Many small businesses grow rapidly, to the point where they need to hire an extra pair of hands either on a part-time or full time basis. It is an exciting time for your business and sometimes the pressure of extra work can make you leap in before you have everything organized for success. Before you get too carried away – this person is going to be representing you and your company hopefully for some time to come. Just like you wouldn’t walk into a shop and buy the first computer you see on the shelf without knowing what you are going to do with it, you need to do the same with your potential employee. The first step is to write out exactly what you want the person to do for you in a clear job description. What duties and tasks need to be performed on what days and to what level of skill? Do they need specific skills or are you willing (and have the time) to train someone? Background – about your company and you. Position description – general information about the role and what it is to achieve. Include in here days and hours of work. Skills, knowledge and abilities – list out the skills the person has to have in order to do the role. Include any special requirements such as a current drivers license. Selection criteria – this is a just a list of things to help you assess whether or not a candidate can do the job. Use this to help balance your heart with some logic – you may really like a candidate, but if they can’t use a computer and your job is net based then you should not hire them no matter how nice they are. Once you have your Job Description you need to work out the legally correct pay rate and conditions for the role. Talk with your Department of Employment and Industrial Relations in your State to get the correct information. You can pay above award conditions, but cannot pay below these conditions so you need to be sure of your facts. Next, have a look through the newspapers and online recruitment boards to get an idea of what the market is paying. For example – the minimum rate may be $17 per hour but the market pays $25 per hour for the same role. If you offer minimum rates you are unlikely to get great candidates applying for your role, so know your market. Talk to your Department of Workplace Health and Safety to organise Worker’s Compensation cover. Double check with your local council if you are carrying on a home-based business as to whether or not you are legally able to employ people working from your home. Talk with your book-keeper or accountant to work out how to physically pay your employee. 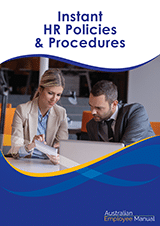 There are a lot of legal requirements in relation to employee records and payslips – so get your computer systems and HR Policies and procedures set up correctly from day 1 and you will save yourself a lot of worry in the future. Your bookkeeper or accountant should also be able to help you access Tax Office forms, taxation schedules and provide you with advice in relation to compulsory superannuation. Next, consider setting up a template appointment letter – where you set out all of the terms and conditions you will be offering your employee. Again – if you do this from day 1 you will save potential headaches in the future from misunderstandings about the offer. Consider other physical things such as where your employee is to sit, access to phones and computers, whether they need their own business cards or mobile phones. Prepare the location before you recruit someone so you can show potential candidates their surroundings. 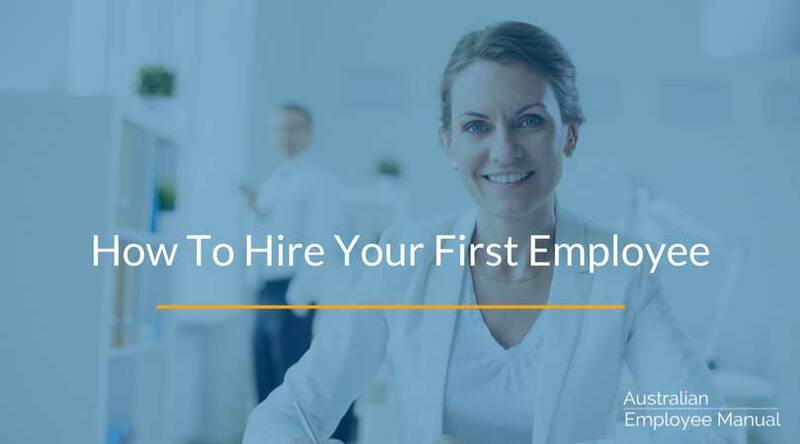 Now you are ready to hire someone. You could consider advertising your job vacancy using an online Board such as Seek or Career One, using a recruitment agency or just asking friends and family if they know anyone. Remember you need to comply with all legal requirements of the anti-discrimination legislation and the Competition and Consumer Act with your job vacancy ads. It is a candidate poor market at the moment – which means that you may need to work hard to attract just the right person for your role. Don’t settle for less than you need and don’t give up. By having everything set up before you hire you are promoting the image of your business being efficient and businesslike. You are also increasing the chance of forging a successful long-term working relationship.